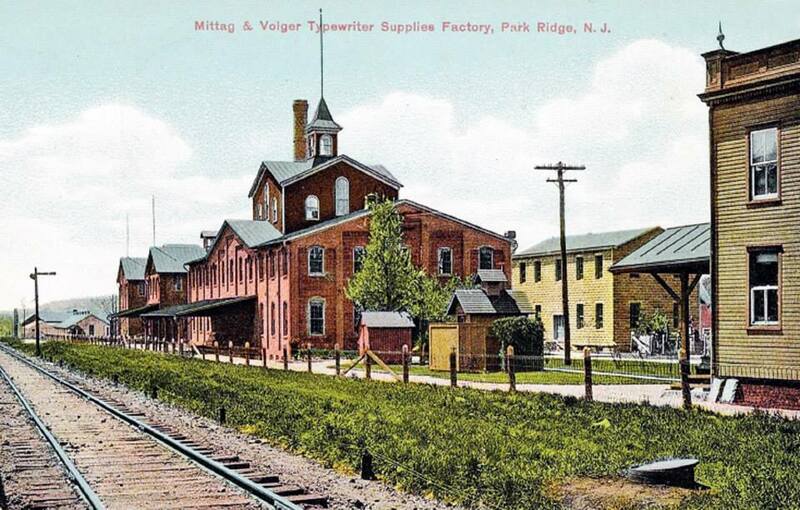 In the latter years of the 19th century Mittag & Volger became the foundation of Park Ridge’s industrial legacy. Established in 1887, the hugely important factory made carbon paper and typewriter ribbons and sold them throughout the world. The factory also produced the inks for stamp pads for modern businesses. 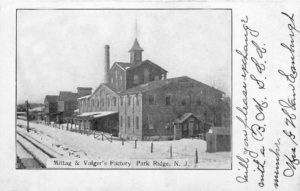 These products made Mittag & Volger a major corporation, providing the cutting edge of technology to the business community and the individual. The business really hit its stride when typewriters began being mass-produced causing Mittag & Volger to become one of the largest companies in the business machine category. 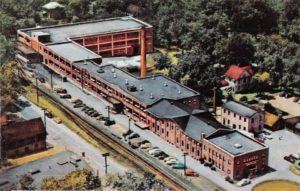 The company continued to grow through the early 1900s. The typewriter trade skyrocketed allowing new buildings and factories to spring up. By 1904 the business had moved from its original location on Lawn Street to the south side of Park Avenue on the west side of the railroad. This new area provided even more room for the company to prosper. Mittag & Volger now had offices in New York, Chicago, Paris and London, putting Park Ridge on the map as a manufacturing headquarters as suggested by the Park Ridge Borough crest, “Through Industry We Flourish”. In 1949 Mittag & Volger merged with the larger Burroughs Adding Machine Company but as carbon paper and typewriters were replaced with copy machines and computers the mighty Park Ridge factory was closed in 1986. The land was redeveloped and now the Park Ridge Crossing Condominiums stand on the old factory footprint.